This is a revised version of my previous post. Sorry for the inconvenience. I haven’t posted anything to this blog since our European trip. As I was preparing my December newsletter and was considering doing a review of the past year, I thought it would be better placed here, so that my newsletter subscribers could have the choice of reading something with this kind of detail or not. So here goes…! Looking back on 2013, I am so grateful to God for so many amazing opportunities! From January through the beginning of April I taught the second part of my Old Testament Survey course for our own church, Calvary Fellowship Ottawa. I wrapped up the course by playing a clip from the Academy-award winning movie Lincoln to illustrate the Bible’s unique ability to guide us in all of life. Here is that clip along with my explanation. If the video is not showing below, click here. Please let me know if you have any issues viewing it. Also if you never saw this, you might want to see what happened when Mordecai came to class and told the Esther story. If the video is not showing below, click here. Toward the end of January into February I took a break from the course to return to Vancouver Island where I spoke to a group of pastors in the Nanaimo area and gave my testimony at a special gathering. That was immediately followed by a series of meetings in Victoria. From there I took the ferry to Vancouver and spoke in Maple Ridge, Abbotsford and Burnaby. I was also interviewed by Audrey Mabley on her TV show, “Eternally Yours.” It was aired over two weeks, but here is an edited version featuring just my interview on its own. If the video is not showing below, click here. 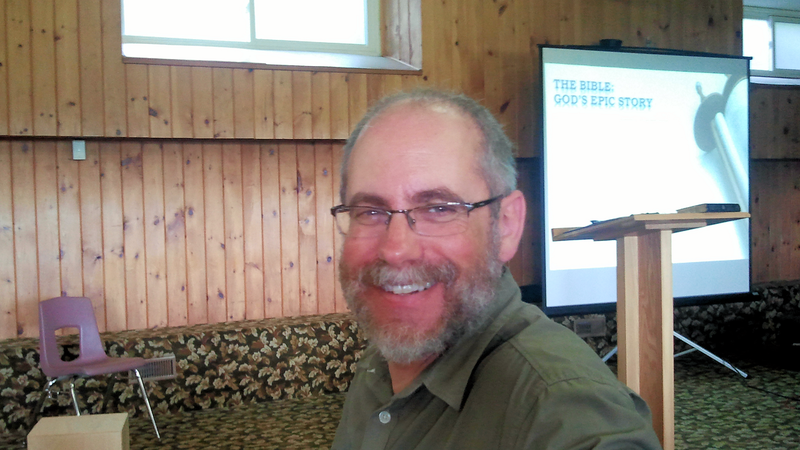 In March I presented my Bible Overview Seminar, God’s Epic Story, locally at East Gate Alliance Church. The end of the month saw my busiest Passover ever as I conducted four Seders in one week! 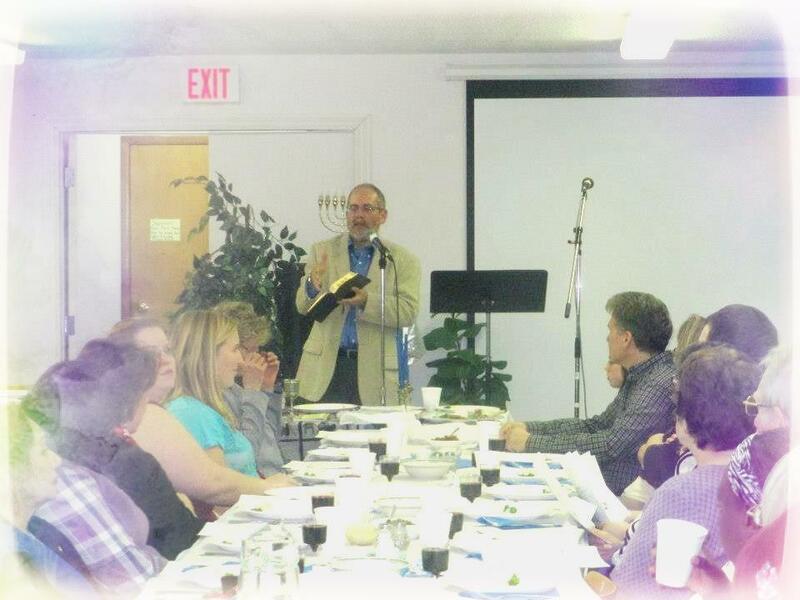 Last of four Seders I led in April 2013. Thankfully the folks at “The Oasis” in Kinburn, Ontario were a most enthusiastic bunch! 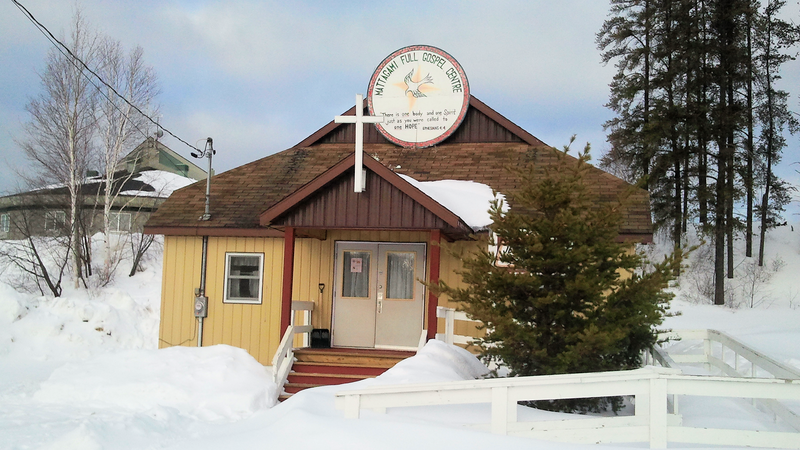 A couple of weeks later, in mid-April, I headed off to the Matagami First Nations reserve, three hours north of Sudbury, Ontario, where I presented God’s Epic Story and spoke at the church there. 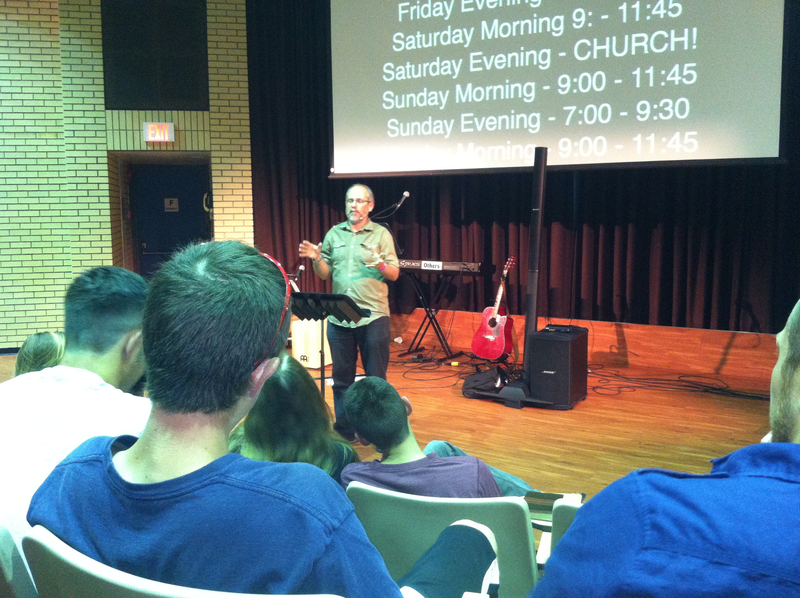 On route I shared with the College and Careers group at Lakeshore Missionary Church in North Bay, Ontario. I will never forget the drive to Mattagami in the unusually late spring snow. After Matagami I headed south for a few days, where I spoke in Milton, Oakville, and Toronto. 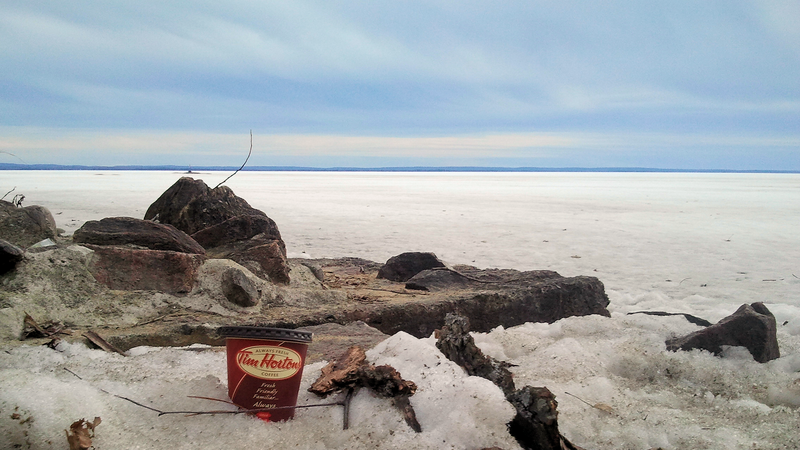 My attempt at an award winning Tim Horton’s shot in North Bay. So Canadian, eh? My time on the Mettagami reserve was worth the harrowing drive in the snow. First weekend in May Robin and I each presented seminars at the annual Ontario Christian Home Educators’ Connection Convention in Hamilton. Then in July I taught at the the Camp IAWAH family camp. Robin gave a couple of workshops and Tikvah taught dance. Getting ready to teach a session at Camp IAWAH. Teaching on Isaiah 6 at the Calvary Koinania conference. 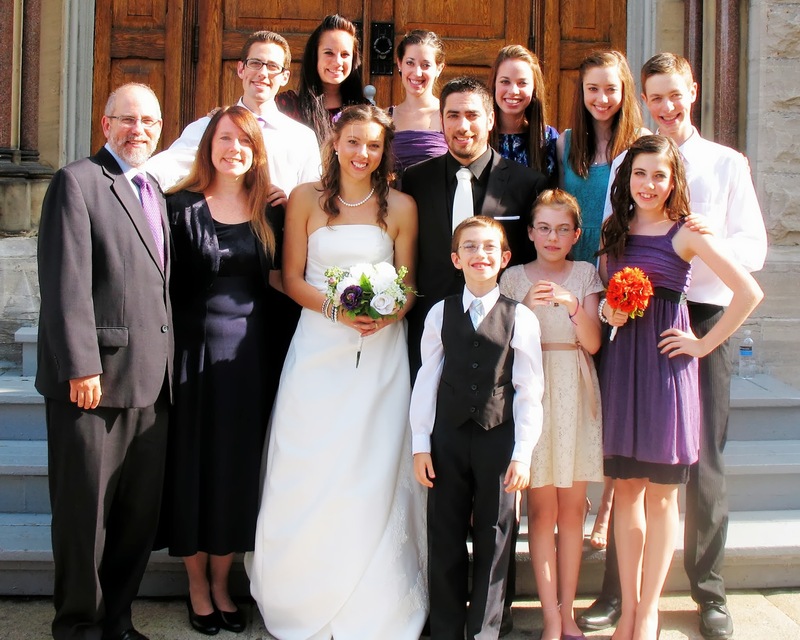 September 1 was the marriage of Josh and Megan. What a day (and the days around it) that was! 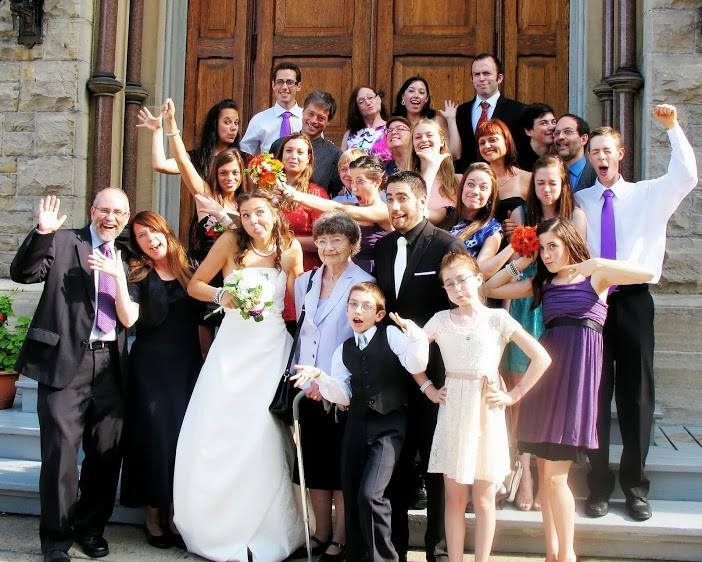 With extended family – not so serious, but still very happy! 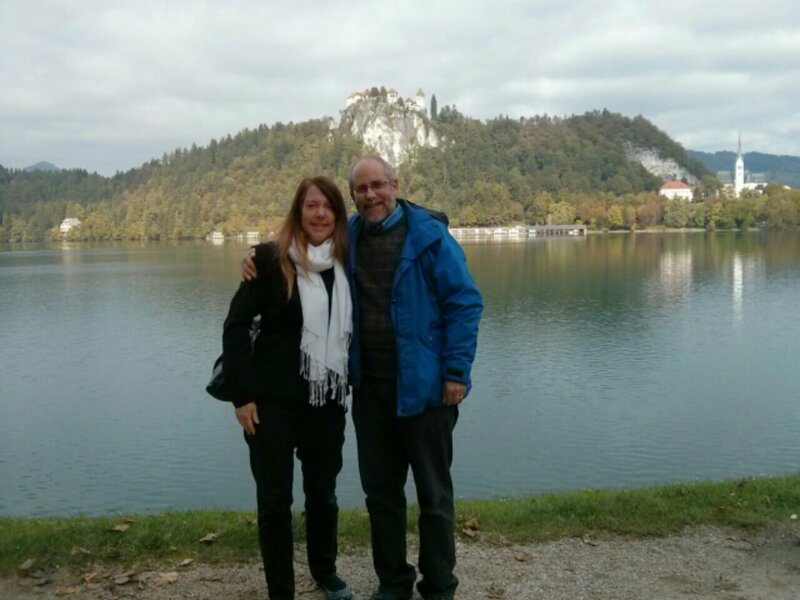 And then from September 24 – October 8, Robin and I embarked on our first ever European teaching tour in Italy and Slovenia. Sort of like a dream come true that we never really dreamed of, if you know what I mean! From mid-October through mid-November I presented God’s Epic Story on five Monday nights at a home group for a nearby church. November included “For All the Right Reasons” a benefit concert for my ministry initiated and organized by my son, Josh. 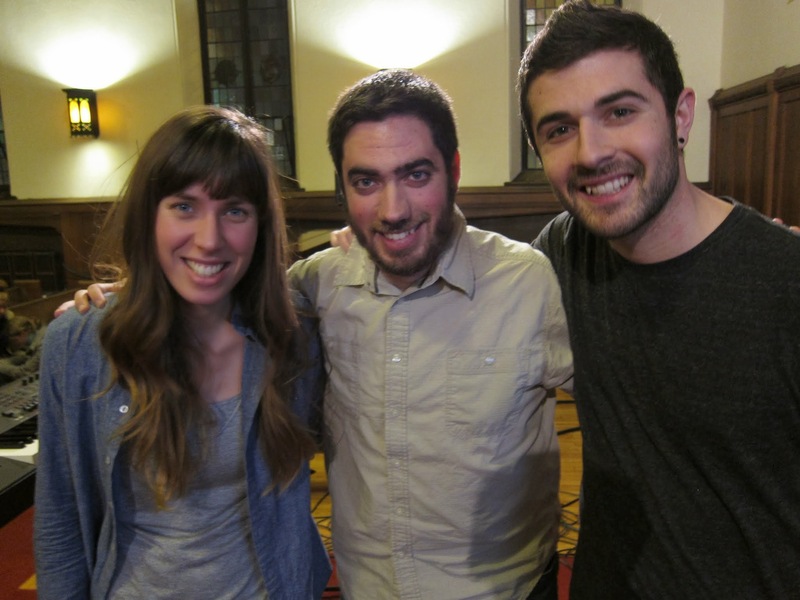 It featured him, Amy Dagenais, and Joey McNitt. It was a great show. I was pretty overwhelmed by it all. Thanks again to Amy, Josh, and Joey! Through the year I also spoke at other local churches, we conducted special meetings in our home from time to time, and have had some wonderful one-on-ones with various folks in person or on the phone. Besides Josh and Megan’s wedding, other key family moments were Daniel’s successful completing of his Master’s thesis, Hannah becoming a student apprentice with the Ballet Magnificat Omega company, and Jonathan’s starting his lawn care company and having a successful first season. Our dance studio (Arise School of Dance) continued to develop and was a blessing in so many ways, including the annual recital and successful company performances. 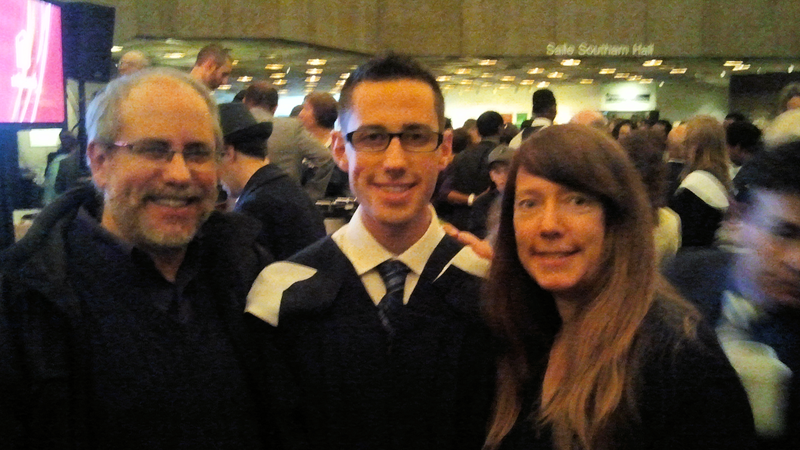 At Daniel’s Master’s graduation. Proud parents! 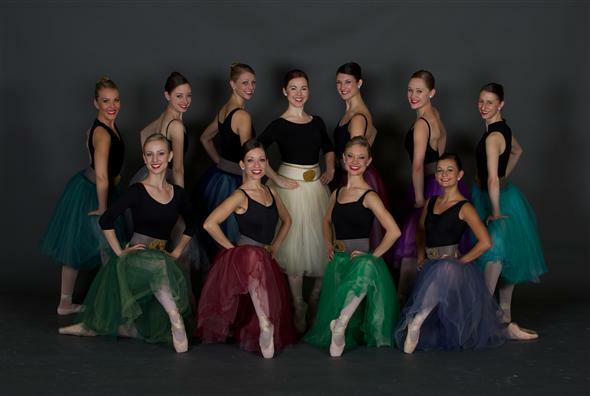 Ballet Magnificat Omega Company (Hannah is second from left, back row). And to think that this time last year, I had no idea that most of this was in store. I wonder what 2014 will bring. Thankfully God knows. Dan on Where Are You, God! Dan on Are You What You Do?